President Barack Obama and Israeli Prime Minister Benjamin Netanyahu are scheduled to meet at the White House for talks on March 5. Netanyahu is also expected to address the annual AIPAC policy conference and hold other meetings with senior Congressional officials. The big question for Obama appears to be: When is Israel planning to hit Iran, and is there any way the White House can stop Netanyahu from launching preemptive air strikes? That is precisely the wrong question, however. The American President should be asking: How can the U.S. help Israel stop Iran without a full scale war, and if such a war is needed, how can we work together to win quickly and decisively and make the world safer? Now comes a new challenge: senior Iranian officials are threatening to launch preemptive missile strikes against Israel and a wave of suicide bombing attacks in the U.S. Yet the Obama administration continues to act as though Israel is the real problem, not Iran. 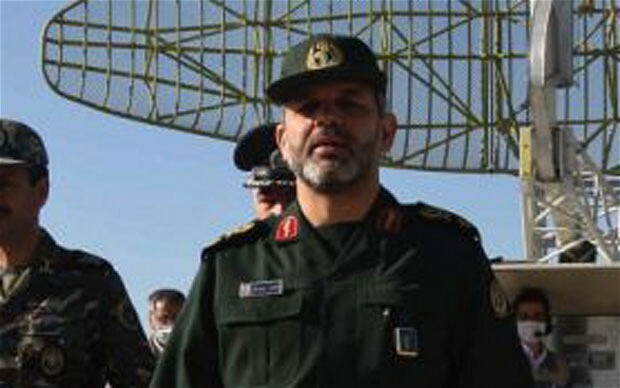 “A senior Iranian military commander signaled the Islamic Republic might launch a pre-emptive strike against its ‘enemies’ if the nation’s leaders felt an attack on Iran was imminent, providing another example of ever-escalating tensions between Tehran and the West over its nuclear program,” reports the Associated Press. “In a clear shot across the bow, the deputy head of Iran’s armed forces, Mohammad Hejazi, told state media on Tuesday: ‘Our strategy now is that if we feel our enemies want to endanger Iran’s national interests, and want to decide to do that, we will act without waiting for their actions,’ according to the Reuters news agency. American officials have pressed Israel in recent days to delay any strike on Iran, fearing the resulting instability in the region could outweigh an attempt to disable Iran’s nuclear facilities. The official news agency IRNA said the four-day air defense war games, dubbed ‘Sarallah,’ or ‘God’s Revenge,’ were taking place in the south of the country and involve anti-aircraft batteries, radar, and warplanes. The drill will be held over 73,000 square miles near the port of Bushehr, the site of Iran’s lone nuclear power plant.